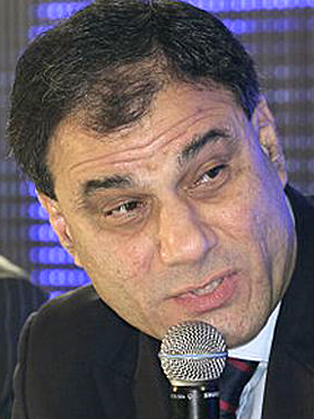 Karan Bilimoria (Lord Bilimoria of Chelsea) is the founder of Cobra Beer. Having qualified as a Chartered Accountant, Karan Bilimoria developed a less gassy, premium lager brewed to perfectly appeal to both ale drinkers and lager drinkers alike and to complement food. Little more than fifteen years later, Cobra Beer is one of the fastest growing beer brands in the UK and one of the most innovative young companies in the country. The brand has a current retail value turnover of £178 million, is sold in nearly 6,000 Indian restaurants, and is available to 6,000 bars, pubs and clubs and in over 12,000 branches of leading multiples, supermarkets and off-licenses throughout the UK. Cobra Beer was awarded a total of 85 Gold Medals between 2003­-2011 at the Monde Selection, Brussels, World Selection of Quality Awards – more than any other beer in the world. Karan Bilimoria started Cobra in 1990 when he was £20,000 in debt and up against all odds. Since that time, Cobra has grown into an operation with offices on four continents and exports to over 45 countries, with brewing operations in five countries. In 2009, Cobra Beer entered into a Joint Venture with Molson Coors, the largest family owned brewer in the world. Karan is widely respected for his entrepreneurial spirit. He is one of the first two Visiting Entrepreneurs ever appointed at Cambridge University and serves as National Champion of the National Council for Graduate Entrepreneurship. He was a member of the Government’s National Employment Panel (NEP), and from 2001 to 2005 was Chairman of the NEP’s SME Board. He was the founding Chairman of the UK-India Business Council (UKIBC) of which he is now President. He lectures extensively in the UK and abroad on entrepreneurship, business, education, and the Indo-British relationship. Karan has won numerous awards in recognition of his business achievements and charitable work, including the RSA’s Albert Medal in the Society’s 250th anniversary year, 2004. He was also awarded the Commander of the British Empire (CBE) in Her Majesty The Queen’s Birthday Honours List, 2004. He was named Entrepreneur of the Year 2003 and Business Person of the Year 2004 by the London Business Awards, Entrepreneur of the Year 2004 at the National Business Awards (London and South East of England) and London Entrepreneur of the Year 2003 (Consumer Products) by Ernst & Young. In 2010, he received a Lifetime Achievement Award from the Non-Resident Indian Institute for outstanding contributions in promoting Indo-British relations. In 2005, Karan was honoured with the Award for Outstanding Achievement by the Institute of Chartered Accountants in England and Wales in the Institute’s 125th anniversary year. He was named Man of the Year at the 2006 Drinks Business Awards. He has been awarded honorary doctorates by Brunel University, Heriot-Watt University, Staffordshire University and Cranfield University. In June 2006, Karan was appointed The Lord Bilimoria, of Chelsea. In 2008, Karan was awarded the Pravasi Bharatiya Samman by the President of India. This “Overseas Indian Award” is presented to recognise exceptional achievement by members of the over 25 million strong Indian expatriate community around the world. His other awards include Entrepreneur of the Year from the London Chamber of Commerce and Industry and an Outstanding Achievement from the Institute of Chartered Accountants in England and Wales. He also holds honorary doctorates from the universities of Staffordshire, Cranfield, London Metropolitan, Brunel, Heriot-Watt and West London, where he also served as Chancellor between 2005 and 2010. In February 2013, he was a delegate on Prime Minister David Cameron’s visit to India, having also accompanied the previous Prime Ministerial visit by David Cameron in 2011, as well as those of Tony Blair and Gordon Brown. In Parliament, Karan is active in a wide range of matters including commerce, entrepreneurship, diplomacy, defence, the European Union, the Armed Forces, education, culture, minorities’ contributions, academia, and more. In his frequent speeches in the House, he has spoken of the need to reform immigration policy to allow the brightest and best to come to the United Kingdom to develop their skills and business plans. Karan has been acknowledged as an ambassador for Britain, India and the Parsi Community. In 2013, he established the Zoroastrian All-Party Parliamentary Group, which is intended to provide an official forum for parliamentarians to increase their awareness of this ancient religion.